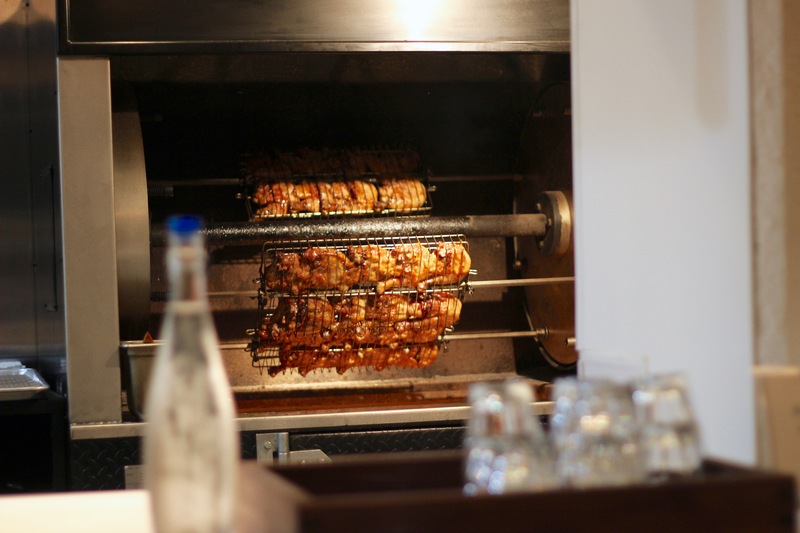 Ordering is done at a counter, and behind that counter is a giant rotisserie filled with half-chickens dripping their juices and setting off delicious-sounding flames. Yet, as good as those chickens looked, I was caught by the bacon-beef blend burger. This came topped with fontina fondue, iceberg lettuce, calabrese relish and thousand island, with the choice or tots, fries or something called a potato waffle. I ordered mine without the veggies and then just had to find out what the potato waffle was as my side. But what if the waffle was the bun?! It turned out the potato waffle was not the waffle fries that you might expect. Instead, it was like someone mixed hash browns and eggs in a waffle iron and let it rip. Oh, and then they added shredded cheddar on top. It probably could have used a bit more potato, but it was unquestionably delicious. The burger turned out to be a conundrum. It was good, no question, but it didn’t taste as special as you might expect from a bacon-beef blend. The bacon added some additional saltiness, but not so much in the smokey department. Plus, due to the bacon component, it had to be cooked a little more and wasn’t as juicy as I would have liked. On the other hand, the combination of fontina fondue and thousand island was like a perfect condiment. 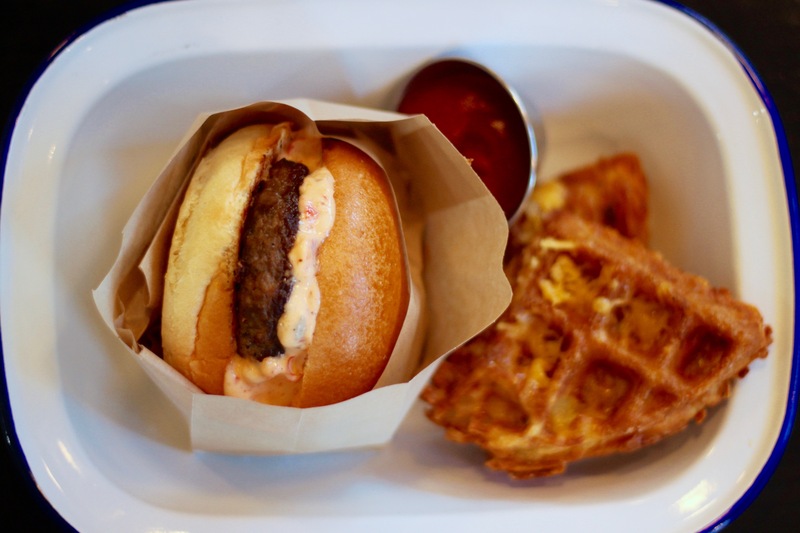 I’m glad I checked out the burger and the waffle, because I really just had to. In the future, though, I’d probably find myself chowing down on that beautiful chicken instead.